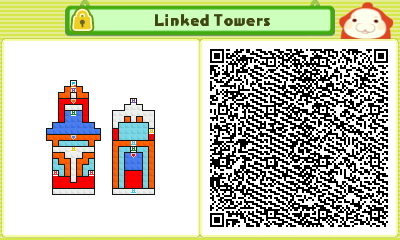 I may not have enough time to make the Pullblox/Pushmo and enter the contest this time although I first was going to. This one is perfect for this theme. Added the code in for you. My first contest entry. This ended up a little more complicated than I initially intended. Sorry for the lateness of this post...I've been busy all day and haven't had extended access to a computer until now. Anyway, here here the entries up for voting for the "Ladder Mania" theme! Voting ends this week only at 12:00 PM on Saturday (eastern time) because of how late this post was. Happy voting! My vote goes to number 4. Took me 8 minutes to solve it. I am unloved T_T, oh well Haha, great entries by the others. I guess I'll vote for #2. That's some pretty shnazzy pixel art there. 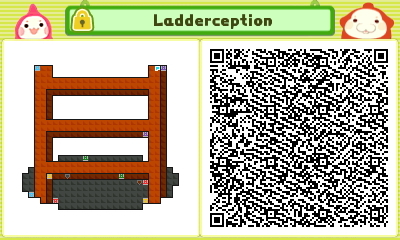 Congrats to last week's winner with 3 votes, DarkSquid with the "Ladderception" Pushmo! This week's theme is "Vintage Nintendo." No restrictions this time around. Get crackin! Vintage Nintendo? Can you be more specific? The 8-bit era. Or the 16-bit. NES, SNES. Thanks VincentV, I shall get on it. I am determined to win at least one contest haha. If not, well I'll still enter whenever I'm able to come up with an entry. UPDATE: UGH! I figured out what I wanted to do (and it's a good one) but I forgot my 3DS in my car and it's too late to go out and get it DX Hopefully no one does it within the next 12 hours, haha. DONE! Here's my entry! All old school Nintendo fans should remember him and hate him at the same time. I present to you, the Duck Hunt Jerk Bag McFart Face Dog!